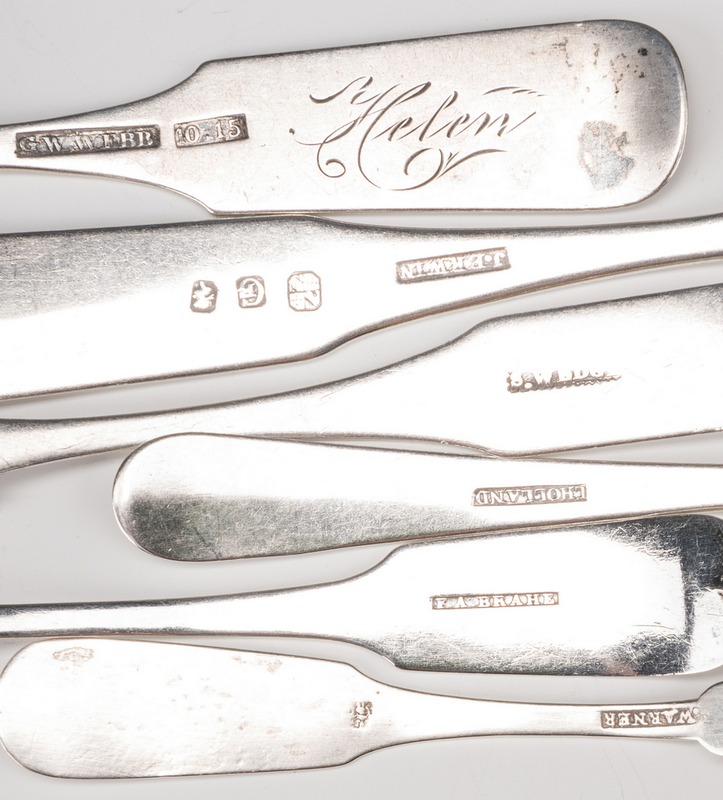 15 pieces Southern silver flatware, including a Georgia salt ladle with fiddle handle monogrammed MCS, marked F.A. 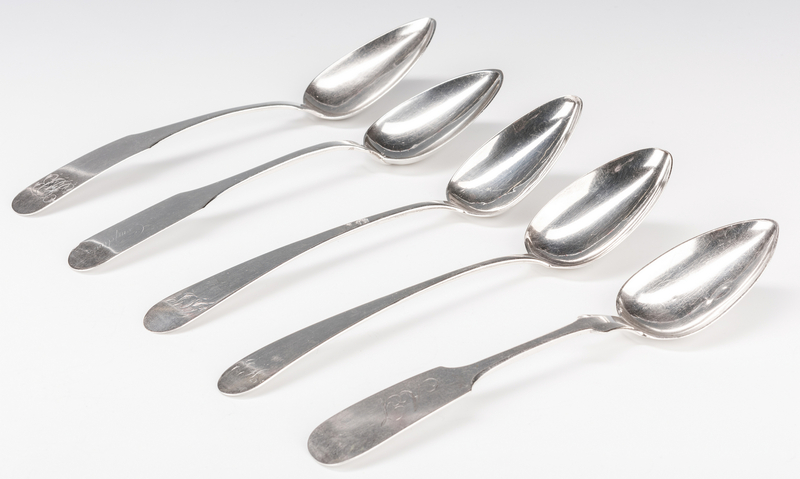 BRAHE in rectangle for Frederick A. Brahe, working Augusta, Georgia, circa 1845, 4 7/8" L. The remaining silver is attributed to Baltimore, Maryland and includes 5 silver table or serving spoons with oval handles and JCS monograms, 2 marked on back I LYNCH in rectangle with talon pseudohallmarks, 2 marked J LYNCH in serrated rectangle with eagle psuedohallmarks, and 1 with partially illegible marks, John Lynch, Baltimore, b. 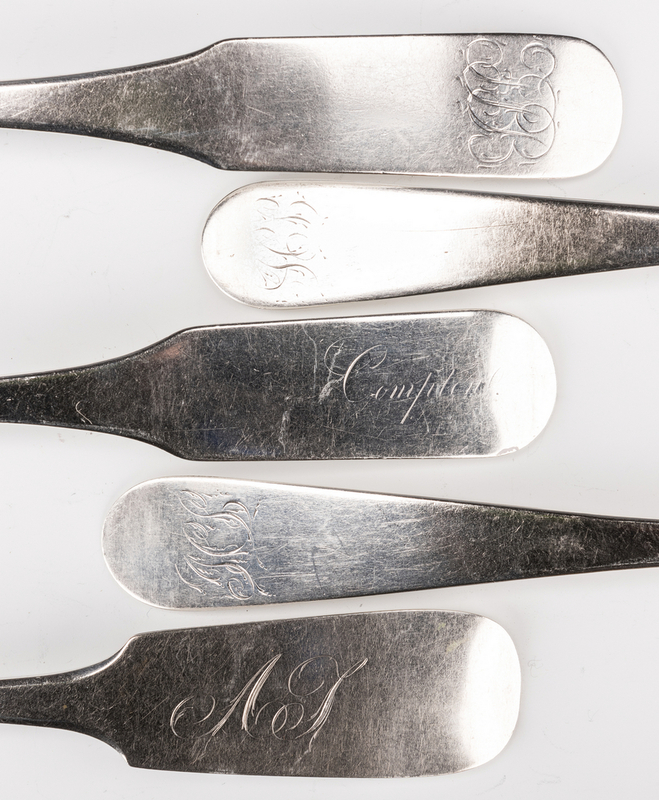 1761-d. 1848, 8 3/4" L; 4 assorted coin silver tablespoons, fiddle pattern with various monograms, with marks for Robert Brown, c. 1830, Joseph Jackson, 1803-1813, and Samuel Kirk, c. 1824-1827 (2); 4 assorted tablespoons with oval and fiddle handles and various monograms, with marks for Littleton Holland, 1800-1847; George W. Webb, c. 1830; John Erwin, c. 1809-1820; and Simon Wedge Jr., 1823-1830; and 1 salt ladle with fiddle handle and LAW monogram, marked for Cuthbert Warner, b. 1760-d. 1828, 3 7/8" L. Combined weight: 19.27 oz troy. 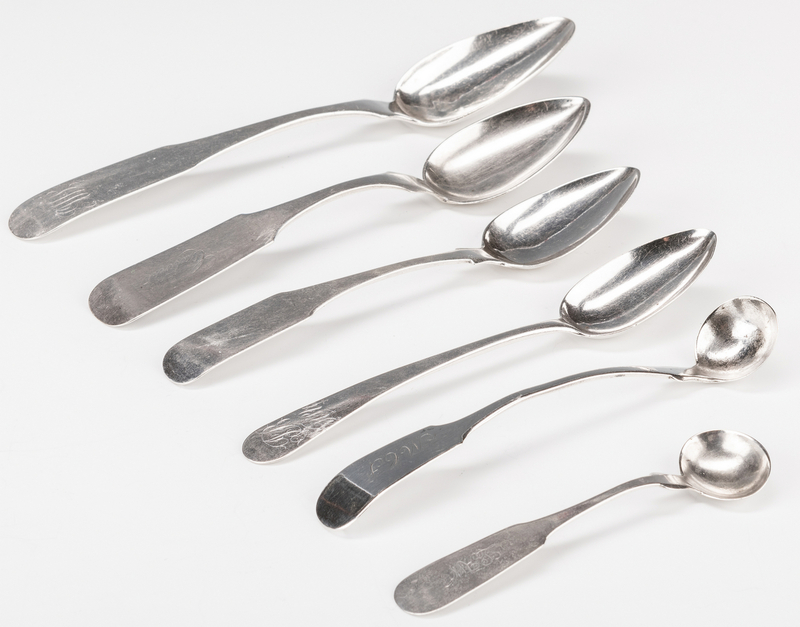 Provenance: The estate of Dr. Benjamin H. Caldwell, Nashville, TN. 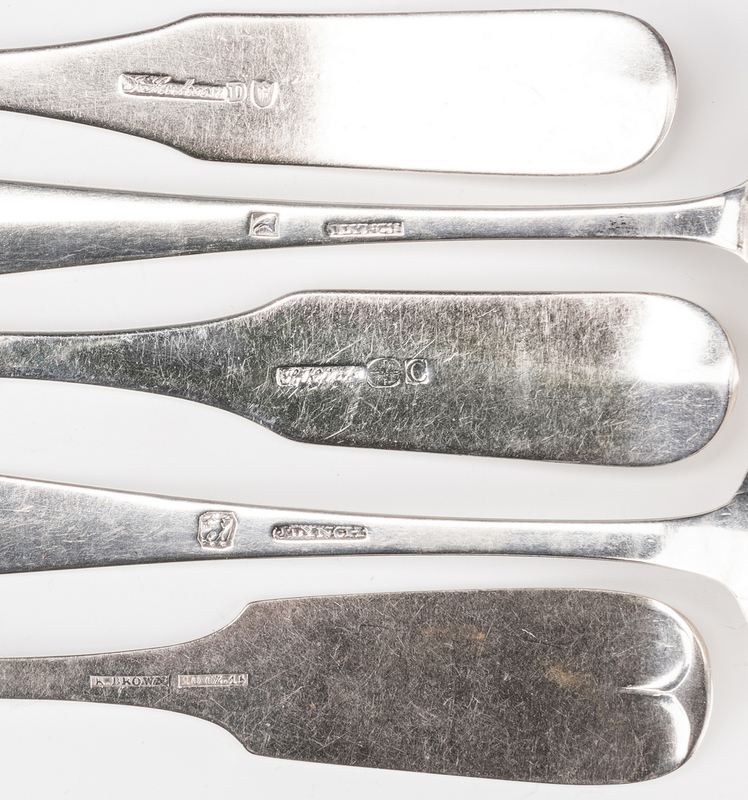 CONDITION: 1 Lynch spoon has repair to handle that has partly obscured marks.